IRS Private Debt Collectors Unfairly Take Advantage of Low-Income Taxpayers - Patrick T. Sheehan & Associates, Attorneys at Law, P.C. 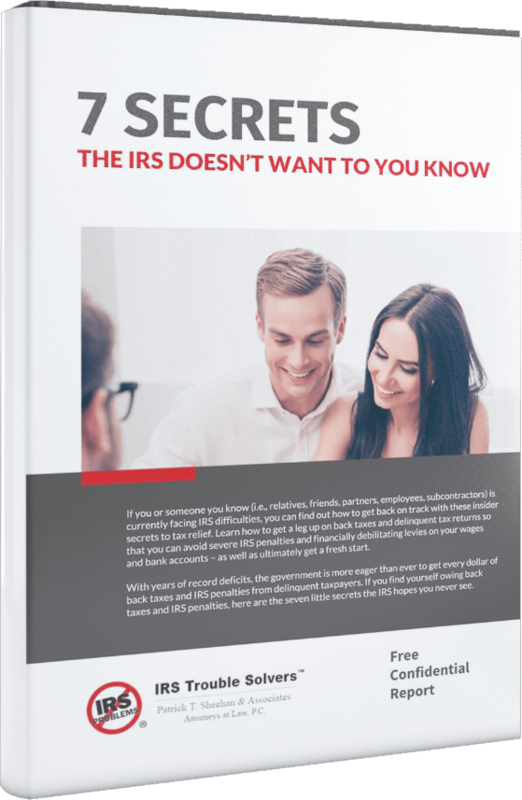 In 2015, Congress passed legislation requiring the IRS to restart the private debt collection program where private agencies take the place of the IRS and collect money from taxpayers who owe money. In 2018, the IRS began transferring collection cases to four private debt collectors. Here at IRS Trouble Solvers, we recently received a notice from Performant in Livermore, California, one of the collection agencies, stating that one of our client’s cases was assigned to them. Congress previously had tried to get the IRS to use private debt collectors, but both prior efforts were shut down. According to National Taxpayer Advocate Nina Olson, the private debt collectors are taking advantage of low-income taxpayers. In fact, 43% of the taxpayers placed into installment agreements by private collection agencies had an income lower than their allowable living expenses. Of the 4,100 taxpayers who have made payments to private debt collection agencies, 28% of those taxpayers had income below $20,000.00, 19% had income below the federal poverty level and 44% had incomes below 250% of the federal poverty level. The IRS uses 250% of the federal poverty level to determine if a taxpayer is experiencing an economic hardship. Further, the outside collection agencies are able to keep up to 25% of what they collect on top of targeting low-income taxpayers. However, the program is already costing the IRS more money than it collects. We at IRS Trouble Solvers have always been against the outside debt collection program, mainly because sensitive taxpayer data is transferred to third parties, leading to identity theft. The targeting of low-income taxpayers is another reason for IRS Trouble Solvers to oppose the private debt collection program. What do you think?